Comedy hero Allari Naresh recently completed 50 films with the Mohan Babu-starrer comedy entertainer, Mama Manchu Alludu Kanchu. Even though the film ended up as a disappointing venture, Allari Naresh is undeterred and already revealed his plans for his 100th film. Recently, Allari Naresh was felicitated by the Mavoollamma Festival Committee in Bhimavaram on the occasion of the 52nd annual Mavoollamma festival. 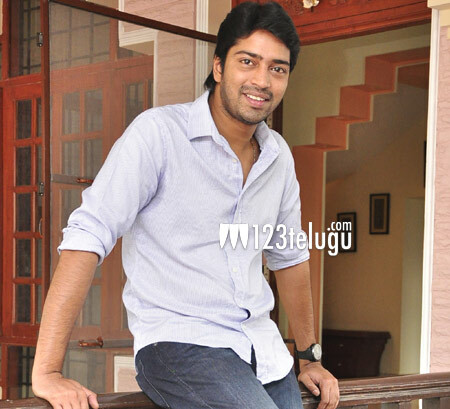 Speaking on the occasion, a jubilant Allari Naresh went on to state that he will shoot his 100th film in Bhimavaram. Allari Naresh further said that the yesteryear legends, Allu Ramalingaiah and SV Ranga Rao, are his inspiration and expressed happiness over being felicitated on the same stage where even his idols were once felicitated.